Turkey is currently ranked Europe’s fifth largest export destination and seventh for imports. Using domestic clearing, the cross-border payment service aims to help clients offer competitive corporate and remittance payments products for the Turkish market. London-based Earthport’s payments infrastructure covers clearing and settlement for payments in 50 countries. Earlier this year, the firm signed a deal with Decillion Group, a systems integrator and Swift Service Bureau operator, to introduce Earthport’s payments service to its 160-strong banking customer base in the Asia Pacific region. Turkey has become increasingly welcoming to international investors in recent years. Lured by the domestic market capitalisation of €215 billion reported on the Istanbul Stock Exchange, and by an IPO pipeline that saw €422 billion in new capital enter the market last year, western capital markets companies such as block trading network Liquidnet have been quick to pick up on the opportunities presented by Turkish modernisation and economic growth. Liquidnet entered the Turkish market in July 2012. 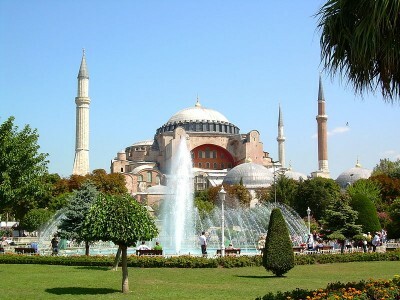 Solid macroeconomic performance has helped – Turkey is currently the seventh-largest economy in Europe – while wide-ranging reforms to the country’s Capital Markets Law have seen Turkey adopt the same legal definitions of financial instruments and other terms as used by the European Union in its MiFID directive. Further refinements, such as a rule change in late 2010 that effectively unlocked the door to algorithmic trading in the country, have prompted large banks including Citi to release advanced trading products including algorithmic and direct market access offerings in the country within the last 12 months.